If you are thinking to buy products overseas, you must calculate the cost to import it to calculate properly your expenses. You must pay taxes and duties in Spain to import goods from outside the European Union, either an individual or a business entity. Taxes and import duties payable is calculated on the value of the imported goods plus the cost of importing them (shipping and insurance). With this article you will learn what are the cost that would have to consider and know well in advance what would be the total cost of buy goods abroad. The import duties in Spain are typically in a range from 0% ( eg books ) until 17% ( for example Wellington Boots ) . Some products such as laptops , mobile phones , digital cameras and game consoles, are duty free . Some products may be subject to additional duties depending on the country of manufacture by example bicycles made ​​in China could be taxed at an additional rate tax statistics or statistical value ( dumping ) of 48.5 % , Antidumping is a set of protection measures with order to avoid the practice of foreign companies to sell in foreign markets at a lower price than the market itself . The standard VAT rate for importing products in Spain is 21 %, but in certain products, a reduced VAT rate of 10% or a reduction of 4% tax apply. The VAT is calculated on the value of the goods plus the costs of international shipping and insurance , in addition to import tariffs . If the sender is a company , import duties of goods in Spain are not the same than for an individual if the total value of goods (excluding shipping and insurance) does not exceed 150 € . If the total value of goods (excluding shipping and insurance) is not more than 22 € duties and taxes are not paid. The exception to the duty and taxes payment on import shipments are for personal effects ( clothes, books , computers , furniture … ) by reason of change of residence . They are nontaxable and no need to pay duties and taxes if you provide that the age of each is equal or greater than 6 months, we recommend to include invoices to prove this to the inspections agents and avoid surprises. A special tax for example to pay snuff and alcohol. Some extra customs charges will be applied to cover the costs of conducting the required tests and / or verification testing of imported goods . More information on the procedures for duties and taxes, import tariffs and restrictions on imports into the Revenue and Customs office Spain , you can also consult on Spainbox if you need more information on duties and taxes . VAT is 21 % and 3% tariff . A package of 200 € . € 5.34 for custom clearance. • Customs may stop any package even if the declared value is less than 22 € . For invoices that prove the value of the product is less than 22 € , you only have to pay € 5.34 to the post office or the carrier you used . • It is recommended that the value of a package does not exceed € 150 . • If you decide to manage the DUA personally not forget to ask get the NRC at the time of making payment at the bank, but you can not declare the package as paid. The NRC or Complete Reference Number is a code generated by a bank at the time of payment. Used to verify and authenticate information transmitted to the declarant and the declaration . If you want to save time and all these steps, you ask us at SpainBOX, we do not charge anything for management and you will receive the DUA advice on the best courier for your import and export shipments. We can help you to classify of goods that you need to import to Europe from overseas. This entry was posted in Import europe and tagged custom clearance in spain, import taxes in spain, Shipping hacks. Thank you for this great article! Your article saved me time in making a trip to Agencia Tributaria. Great job! whats the customs on car parts from USA to Spain ? HI, thanks for the great guide. I have just bought a budget tablet from China which was on special offer @ a little over 30€ plus delivery. DHL have just sent me an SMS saying I have to may 33€ in taxes when they deliver. Can I reclaim this eventually- and if so how? Sorry to hear that, DHL is very hard applying custom taxes, even with samples that should not apply any import taxes because his commercial value is under 22 euros. They apply a minimum fee of 33 euros. In the future try to use any other like UPS, TNT, Fedex or China Post. You can reclaim but i dont think they can refund you. Hi, I haven’t paid it yet as they have not delivered it. What should I look for on the delivery note? I am happy to reject the item and have it sent back. Am I legally correct that only 21% of the invoice price should be charged? Yes Tim, but they added a processing customs fee too. So who gets that, DHL or Customs? This is a massive con! When you talk with DHL they justify it will be a customs payment, but really most of the 33 euros you will pay its a DHL custom processing fee and the DUA. (Unique Administrative Document) and a processing fee. DHL decide you must pay the DUA for a sample, but with others couriers its not needed to pay a DUA when you receive a sample. I have just emailed DHL and await their answer. The whole thing stinks & I would rather reject it and claim my money back from paypal than accept this. Thanks for your help on this. €5.30 Importation IVA and €23.01 +IVA for Admin of Importation rights – you were correct. I have cancelled my order and will now battle to get my cash back. It’s the principle. 2- do I need to have a company registered in order to do the paper work for customs? 1. You will need to pay 21% VAT and there is no duties because FTA is applied (Free trade agreement) The European Union Customs Union (EUCU) is formed by the 28 member states of the European Union and the neighbouring countries or microstates of Turkey. 2. yes you need to get an EORI, SPainbox can help you to get your own EORI to allow import in Europe, if you need more info about the required documents let me know. I am acting for an Indian company looking to import ethanol into Spain but the buyer states that we must pay for registration with the trade and commerce.They have asked that we pay 1.852 euros for translation endorsement,legalization and registration of the Sgs lab report. I am looking to purchase a mobile phone case for personal use from Turkey total costs is around 31€ are duties and taxes aplicable to imports from Turkey? Yes 21% VAT, depend of the courier you use you can get an extra fee. It depend of the volume that you want to import. I am a student in Madrid and recently had my iPhone pick pocketed. I had my parents back in the US order a new iPhone, and then had them ship it to me. The shipping to Spain not only cost 150 USD, but I also recently found out that I have to pay 125 euros customs tax on the iPhone to get it. Is there any way around this? No. You should pay import tax 21% of declared value of the phone at the proforma invoice. If I were importing an item into Spain which I purchased on-line from the US, but the item was originally made in the EU, would it make any difference to the customs duties etc. Someone told me that if the item originated in the EU I shouldn’t pay anything regardless of it having been bought from the US. I’m not sure this is true because I’ve been paying tax etc regardless. Hola Manuel, I am having a package delivered to me from Canada, the sender is a school where I have signed up for a distance study course and the content is textbooks and note binders. I have not specifically paid for these as they are included in the tuition fee, however the value of the books is valued at CAN $ 331 = € 235,85. Does ist matter that these are not commercial goods but study material from a school or will I have to pay the normal rate of VAT 21% = € 49,53 + € 5,34 custom clearance + € 23,22 DUA = € 78,09 ? I have uploaded various documents to the adtpostales website incl. a statement that I don’t have an invoice (which they requested) as the cost of the books was included in the tuition fee for the study program. They then requested a “declaración jurada donde aparezca la descripción de la mercancía y un valor a efectos estadisticos de la Aduana”. I don’t really know what this is they want me to send so I uploaded the receipt from Canada Post’s Online Customs Form that states the contents of the package and the value of CAN $ 331. I haven’t heard back yet if this is sufficient or not and am wondering what other documents I need to provide and how much I will have to pay. (I will have another shipment of textbooks next year and would like to know how to handle it best when the time comes). Regarding your query. You need to send ADT POSTAL a signed declaration indicating content of the parcel and a statistical value of the content. I want to send children’s clothing to Spain by post from Australia for birthday and Three Kings gifts.How much is payable on children’s clothing (new, purchased in Australia but manufactured in China or SE Asia.)? Is 45 euros the limit before duty and taxes are charged? If the limit is 45 euros, if I mail several packages over time with clothing contents valued at less than 45 euros will I have to pay duties and taxes? Between individuals the invoice limit is 45 euros by shipment and you dont need to pay duties and import taxes. So you can send unlimited shipments of 45 euros and you dont have to pay taxes, but if you use couriers services some of them can charge a custom clearing fee. Can you give us more info about what type of products or links where you will buy it? Your item is being processed by customs in SPAIN at 4:21 pm on December 12, 2014. As you can see it has been held for a week. I am resident of the Canary Islands. I happy to pay the IGIC and import handling fees, and often when I use Amazon or other web companies I have to pay this on delivery, this is the first time I have had an item caught up. If you could advise me this would be most appreciated. I ordered goods online from a company in the USA to be delivered to Spain. They added 21% Sales Tax to the total value of the goods plus freight. However, the goods were returned as I was not satisfied with them but the company have only refunded the value of the goods. Should they refund the Sales Tax or am I responsible for reclaiming it and, if so how do I go about it? Yes you should be refunded. the Person or company that paid to Revenue agency have this responsability, i think in this case your seller should claim Sales taxes and refund to you. In the summer I bought an item from the US, declared value $100 and paid customs fees when it arrived. I now have to return the item back to the US for repair. Will I have to pay customs fees again when it’s returned? And if not, then how do I prove the fact that this import has already been imported and is only going back to the US for repair? I have emailed Spanish customs but haven’t received any reply. You must declare as a temporal export for repair, this need some paperwork, we will be happy to help you if you need it. I am afraid spanish customs will be too busy to answer specially at this dates. Thank you so much for this reply which unfortunately I did not see, although I kept looking on here, it didn’t seem to appear. I soooo wish I had seen it because I’m having a horrendous job getting my parcel back from customs. I sent the parcel back to the US on the 2nd January using just certificated mail. The repair was done and the parcel was returned to me on the 10th February, the repair was the fault of the artist and I was not charged a single penny for repair or return postage to me. They sent the parcel via Express as it had taken so long to reach them originally from Spain. The parcel arrived in Spanish customs on the 15th February and that is when the ‘fun’ (yeah right) began. Adtpostales sent me the forms to complete which I did, I have sent them everything I could possibly lay my hands on, I have written out a ‘declaration’ in both Spanish and English, I’ve sent copies of the emails from the artist in the US where she states that no money has been exchanged, that the repair was free of charge and no fault of the owner. I’ve also given them the original tracking when this item (it is a secondhand vinyl doll) was sent to me as a present back in 2014…..as well as the tracking when I returned her to the US on the 2.1.15, I’ve told them that I am not importing it as it is already mine, having already imported it last August and paid a customs fee of approx 35 euros then. Apart from blood or one of my kidneys, I don’t think there is anything else I can give them! I have phoned Adtpostales in Madrid about 5 times and each time am told I have to wait. I was asked about a DUA and when I said that I’d not been asked by my post office to complete one because the item had no monetary value, ADT told me “yes, a lot of post offices don’t ask for them but they should!” …. I am at the end of my tether now and just have to wait. I received an email from ADTpostales last week telling me that all paperwork was to be sent in by the 7th March. I’ve not heard anything further so hope that everything I’ve sent is sufficient……but I’m not holding my breath!! Anyway, that’s the sorry saga of my package. I hope this doesn’t occur again in the future but I think I’ll be in touch with your company first next time! When you send something overseas for repair you need to make appropiate paperwork to do a temporal export. Its hard to talk by phone with ADT Postales, next time you need to do this please contact us. Guys… OUCH. I recently ordered a outdoors camping cooker from the US for $224. Paid $104 in shipping to Spain (Costa Del Sol). I was expecting 21% VAT import so about 40 Euros… but oooh no. DHL have just landed me with 130 EUROS!!. 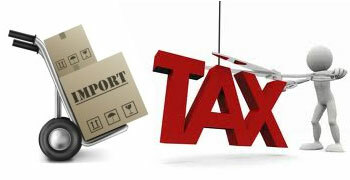 (Importation VAT = 58, Duty = 10, “Paperwork” = 42). I’m NEVER EVER using DHL again… how can the import being nearly as much as the item itself be right?…….speachless. Yes DHL, is the worse option when importing into Spain. They abuse with paperwork fees all the times. I would like to start an online store selling maternity clothes here in the USA. I would love to purchase wholesale products from Spain only but am concerned of the profit return because Of such high taxes. Any recommendations? Other wholesale companies,like AlibabaExpress, etc are all made in China-cheaper but I’m want quality. Recommendations? My girlfriend wants to send me here in Spain from US a tennis machine bought 2 months ago so I can train and improve. The total value of the machine is $1350. the total cost of the shipment around $800. How much in terms of taxes should I expect ? Close to retirement, we recently bought a little villa in Spain to spend a few weeks every year and would like to bring some excess furniture we have here in Switzerland to there in Spain. What would be the taxes and/or duties to be paid on the inventory ?? I want to buy online from a Swedish website? Do i have to pay VAT or duties? They are mainly sneakers and clothes. If i exceed EUR 150 do I have to pay any additional VAT or custom here in Spain? Irma, yes you must pay VAT, but not duries if its inside EEC. But you dont need to pay duties, because Sweden is inside EEC. I had recently sent some clothing as a gift to my friend who is staying in Alicante, Spain via Pos Laju Malaysia. I had declared the item’ value RM200 (€47). Will it be charged for duty or VAT? The shipment tracking status is now still under ‘Customs Inspection’ since 15th January. Does it mean they will ask my receiver to go customs pay & claim for the item? Yes, it means that your customer need to pay at least 21% of import taxes and DUA document. My friend had completed the DUA document and sent to the custom Madrid 3 weeks ago but yet to have any status updated from the customs , the item is now still retain in custom Madrid. Is there any possibility to contact the department concern? I my sister is planning to send me her used ipad mini here in spain..would that cost me a lot of tax? I’m in Madrid for the semester and broke my phone, I need a replacement and my mom could purchase a phone and renew my contract for a reasonably low amount of money in the 100$ range. This would make my VAT manageable if this was the declared price. My question is would this pass through customs, since the phone costs around 800$ out of contract therefore I’d be concerned that I would get charged a 200$ VAT. Custom dont take care if its a replacement or not, it check proforma invoice value and will apply 21% of VAT of the price declared, if they suspect anything is not correct with the price they can charge more. Would I be able to go to the customs office and retrieve the package? Yes, We will need an authorization for that from you. hello, i am about to start selling pool safety fencing in spain, the fences will be shipped from the united states, i was wondering if you could tell me how much import duty and tax i would have to pay? would i be taxed on the value of the fencing or the cubic metres it would take up in shipping. what percentage would pool fencing be taxed at? is there any concession for it having the purpose of saving lives? We recommend you to contact with a forwarder, we are specialized in ground and air transport only. I am considering importing mobile phone covers from China into spain for a online store. Do I need an import licence and will the duty just be 21%. In most of cases there is no need an import license to import goods, only when you import cosmetics or some type of chemicals, or special products is required. I am struggling to find a comprehensive list of duties payable on imports from outside EU (in my concrete case- sports clothing/synthetic, from mainland China). The tributary website is at least for me, quite messy.As for other tariffs and costs- thanks for the precise summary above.Much appreciated. You must be more specific, we should know what kind of clothing and synthetic material and composition. Will it be taxable when the shipment arrived fr SINGAPORE thanks. Yes all shipments are taxable when value is more than 22 euros. Hello, Can you help me to buy from bershka zara, etc.. ?? I want step by step in detail. Yes we can help you, if you order frecuently we recommend you to get a personal account and if you do it with frecuent get a business account. I am trying to import 300 shirts for university purposes into Madrid. My supplier in India has shipped it using TNT. I am being told that no extra charges will be applicable on importing (supplier says he has taken care of things). Is it true? Are there import clauses that will ensure free collection of imported goods in Spain? Please help! The unique way to do that is to send shipment DDP (Duty delivery paid) and it have an extra charge. We only can be sure of the shipments that we process as transport company, we dont know how your supplier sent your order. I’m looking to Import 1000 plastic containers from China to Ibiza Spain. I’m getting my self very confused about what it is exactly I will be paying. If you want to avoid custom taxes you must justify why you move to Spain, a job contract, studies, family, etc. You must indicate a detailed list of all you must import to spain with an statistical value and specify in the proforma invoice the reason to move. My scenario is from South Africa to Spain. Question. How do you obtain NIE number before you land in Spain? I would like to start a summer rental businees of Solar powered vehicles that would benifit Spain and the globe….the Spain reward small business that help my adoptive family here proud. My last package had a value of 22 $ and 42 $ shipping , I was charged VAT on the total , I thought under 22€ would be VAT free ? How exactly does filling the DUA form yourself work ? To avoid the DUA fee , Do I fill this form online before I receive the paperwork from correos ? DUA is issued by customs , usual fee for any customs dealing if you are using UPS is about 18€ or so, you can not fill it in online as it is ussed by goverment body. As per your query as to why you were charged for the import, its because total value of the goods + shipping are over 22€. 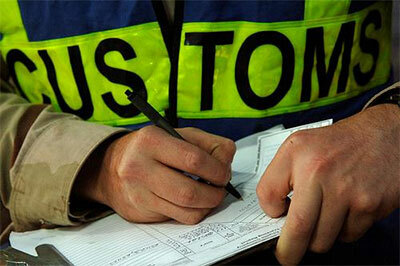 customs add invoice total + shipping cost and the sum of that is what they to calculate customs charges. As for postal service, its a different system, you will have to contact ADTPOSTAL to request further information . So , will. I have to pay for this DUA document every time I order from the US ? My daughter is studying abroad in Madrid and needs me to send her clothes for the one month semester. She has some clothes because she is backpacking through Europe beforehand, but needs a few more shorts and shirts. It comes out to be about $150 worth of clothing. My husband has an account through work with UPS and we thought we’d send it that way since there is a discount. Will we have to pay duties and taxes since we are going through his company account? These are personal clothes that my daughter owns and not for resale. I accidentally left my iPhone behind in Spain and my family there is saying it will cost over 75 euros and lots of bureaucracy to get it to me and even then U.S. customs may not let it get through. This is a used, personal device that I purchased in the U.S.–I would appreciate any suggestions you may have. Perhaps a courier I could use? My family is in Sada near La Coruña. You can send your iphone without any problems via FEDEX , shipping cost will be around 29.57€ . You can email me directly : monica@spainbox.com and I will send you the documents customs in USA requires for this sort of item and explain the procedure, as you will be required to send pro-forma invoice, copy of your passport and the FCC document. Sorry to tell you that its forbid to ship by air, inflamable products, so you need to ship it by sea. I have a Spanish Nie. do I need an Eori to import into spain from India? What do you need to import? I want to buy a keyboard that costs $96 ($70 + $26 shipping). How much will I pay for duties? I lived on-and-off with my ex-girlfriend on Gran Canaria and then moved to mainland spain (looking for a place to live. I am autonomo in Holland, so no job here). For one box of old clothing and shoes they charged 21 euro’s of VAT + extra’s totalling 36 euros. I wrote a “jurada” papel explaining it was for mudanza and that most products came from Holland or Spain and that they were old (1-8 years) mostly. I even had the post office write me a letter but still they charged vat on both parcels. Is there any way I can protest the charges? Value of each parcel would be worth less than 45 euros, but to REPLACE contents would be obviously more (new pants, new shoes, new t-shirts etc). All in all highly frustrating 🙂 Thanks a lot! I am working with a stockist in Spain who just order $920 worth of men’s hair care products and paid $160 for DHL International shipping…total cost = $1080. The shipment came is 3 separate packages. What are the amount of fees and taxes the stockist is looking to pay to get this order out of Spanish customs? Thank you in advance for your help/advice! I (in the USA) just sold some used compact discs, cassettes, magazines, photos & a drumstick to a fellow from Spain. Weight of package will be only 5 US pounds, but the eBay auction sold for $560, and that will be the declared value on the Customs form. How much should this guy expect to pay in tariffs, taxes, fees, etc.. ? Thanks! Do you need to import to Spain? I cannot contact adtpostales here in Spain,to upload documents to send to Madrid.Even after registering, I still cannot go further.What is foing on? From middle of July, 2015, Adtpostales require that you are registered in the tax office (Hacienda). It means you must provide a valid Spanish ID number. I want to buy a pre owned Rolex watch from USA , year 1999, it amounts to approx 6000$ , what will the taxes , duty etc be at customs in Spain .? We have a box of personal used belongings and a couple of new toiletries being held in aduanas in Madrid. The box was sent from my in laws in Canada. Trying to upload the documents has been a nightmare. The NIE didn’t work so I was tod to change the first letter to a 0 and now I cannot access my account at all. I have rung correos at least 10 times to resolve this and never get anywhere. The majority of the time they blame me. My husband is about to employ a second party to get the box through customs at massive expense for second hand items. Is there any other way of doing this? Both of us are registered in the tax office so that shouldn’t be an issue. I have emailed them several times and have had one technical issue lodged with them about 2 weeks ago but I hear nothing back from them. Their new system seems to have many errors which they fail to acknowledge or resolve properly. I guess I will either have to persevere or my husband will spend a ridiculous sum of money. Hello just want to ask it is been a week since I sent them my payment thru BBVA and since I made the payment they must send my parcel next but why I have not yet receive it. I kept on checking at Adtpostales but then again no progress. Please help. I am looking forward to buying an apartment for personal/holiday use in Spain. Since I am Malaysian and not from the EU, is it possible to a ship a small container of furniture into Spain to furnish this place? The container will arrive from Bali. I intend to pay the import duties etc. But do not have a registered company in Spain since I don’t live or work there. Yes, you can do it, provide to your forwarder documents of your new adquired property to try to avoid to pay import taxes declaring that you are moving to Spain. Can your company do inbound clearing for me? Delivery to Sitges. Furniture mostly and some decorative objects & baskets. I have sent a package to my friend in Spain – some clothes that is a gift for him and an old cell phone which I will be using when I relocate next month. Customs has sent him the paperwork and assessed him about 73 euros in taxes (declared value of the items was about 245 euros). I thought that for items that are for personal use doesn’t need to be taxed (like my phone?). What can we do now about it? Before, now its not possible to do any changes, but next time attach some documents together with proforma invoice that demostrate your are living in Spain to avoid to pay taxes. Great article, thank you for the valuable information. I read it twice to make sure I wasn’t asking a question you already answered. I am an American in Spain on my three month tourist visa. Just got here, but colder than I expected 😉 I was going to have my parents ship me over some of my long sleeve shirts in a care package, maybe with some other items from home. Would I have to pay import taxes for items brought in, that will also leave with me when I return? I see you mention the 45 euro value, the clothing exemption for relocation, but I don’t know if I would qualify for these, if this is considered a relocation of sorts. I appreciate any insight, it’s been hard to get a clear answer. If you can prove your relocation with some documents like property rentals, or something that prove you are moving you can try to attach together with proforma invoice to try tax exemption. I have a friend who is moving to Canada to Spain. He already has his papers in order, but wants to have some input on duties and taxes if he’ll take his 2 cars and boat with him. Thank you for your help. Thank you for the very informative article. My husband and I are moving to Spain in December. We are both flying from USA with six (6) 23kg bags containing personal things (clothes, shoes, books, canvas oil paintings). These are all our personal belongings. In addition to that we’ll bring a laptop each. We’ll also bring a bicycle and a big 27″ imac computer that I use for my graphic design work. We have receipts of purchase for the bike, laptops and computers proving that they are over 6 months old. After reading your article, it’s my understanding that we won’t have to pay anything for customs. Is this correct? One thing that I read somewhere else is that you also need to prove residency. Is this right? We won’t have Spanish residency until we apply for it in Spain. My husband is a German citizen and plans to get his Spanish residency when we move to Spain. I’ll also get mine through him since we’re married. Would our non-Spanish resident status when we arrive through customs be an issue? I just wanted to ask you what ended up happening with your move? I will be moving to Spain shortly for work (I am moving from the USA but I am an EU citizen and will have a job upon arrival in Spain) and I am curious as to whether I will be charged for shipping my personal clothes. thank you!! Hi! Thanks for all of this information on your website. I am having the hardest time dealing with DHL. I am a dual citizen of the US/EU. Prior to leaving the US, I received an NIE number from the spanish consulate in the US. I am here to study for my masters degree, which is why I obtained the NIE number to begin with. My cellphone was stolen last week, so I ordered a new one online from the US (an unlocked phone, of course), via DHL express. Yesterday, I received a notificaiton from DHL on my email that I needed to provide either an NIE number or my passport number to confirm and pay their import/customs tax. The total cost of the phone in the US was $179, so it is slightly over the 155 euro amount (if my calculations are correct). I was told via DHL that the customs duty tax would be 95 euro – which I have no problem with, seeing that I have no way of communication at the moment and need my phone for phone calls from the university and colleagues. I figured it would be easier to use the NIE number to make the customs/import process quicker and receive my item more efficiently, instead of giving a full scan of my passport (as I rather not have some random person in DHL having access to all of my personal data and information). I provided my NIE number via e-mail to the DHL representative (who was unbelievably rude – side note). She then proceeded to tell me that my NIE is not valid and not registered. I then proceeded to send her a full scan of the NIE certificate/paper from the consulate, and she still claimed It wasn’t “registered”, yet I have used the NIE to open a bank account, enroll at the university, etc. I then sent her a copy of my EU passport. Her response was that if I have an NIE number, I cannot use my passport to receive a parcel, and that I must officially register my NIE at the local tax office in order to have my phone processed by DHL (despite the fact that the purpose of my NIE was for educational purposes – not business). She blatantly stated to me that she cannot process the parcel if I have a NIE. If the NIE is invalid/not registered according to her, shouldn’t my passport be a valid source of documentation? I believe she is mistaken. She keeps using bolding, underlining and capitalizing “DUE TO SPANISH REGULATION we must follow customs rules”. Yet, for example, FedEx, UPS, USPS, Royal Air Mail, and others do not require a NIE number for sending parcels. I have received packages from all of the above without any issue. I feel as though this particular DHL representative is attempting to steal my information (and/or cause chaos for some reason or another). Between the rude DHL representative and I, we exchanged roughly 15 e-mails regarding the so-called “legislation”. I explained politely to her that I cannot go to the tax office (and do I necessarily need to? I am here to study, once again, not perform business transactions or anything), as I have classes for my masters program Monday – Friday from 9:30 – 18:00, and what other alternatives there are. Despite being rude, she provided no alternatives for me to receive my phone/package. I ended up forwarding all of the e-mails to the president of DHL Spain and their Head Customer Service representative. The head representative at DHL e-mailed me back immediately and said he would have the import management look into this immediately. My tracking on DHL express now states “custom’s status updated” (coincidentally right after the Head Customer Service rep for Spain e-mailed me back saying he would look into it with the import people). My package/phone was initially scheduled to arrive today. Do you have any suggestions on what I should do? This is the most ridiculous beaucracy i have ever dealt with in Europe. I have dealt with DHL in both Italy and Germany and never had any problems of this sort. If you can please point me in the right direction or offer any advice, I would sincerely appreciate it. I am at my wits end trying to get this package cleared by DHL’s customs. Its unfortunate your experience with DHL and their customer service representative. Part of the information she provided is correct. In some cases, you need to be “registered” by the tax office here in spain in order to import goods, even if those goods are for personal use. This information must also be indicated in the invoice or pro-forma so that customs knows at the time of arrival that the content of that parcel is for personal use only and not for sale. If such information is not indicated in the invoice, they treat the parcel as a normal import. Depending on the value of the content and shipping fee which are both added and based on that total import tax is calculated, you may be required to provide more information. In this case, since your NIE was not registered in the tax office the customer service representative in DHL was having problems “processing” your details for import, but it is possible to register your import with your NIE even if you are not registered in the tax office, so I dont know why she was refusing to do so. My best advice to you is, if you are looking to import goods into Spain , be it for personal use or for whatever reason, first: You must make sure that the invoice indicates as much information as possible, for example: Taric code of the product your are importing, NIE number, value in Euro, reason for import, details of the content. Remember, if you provide customs with as much information as possible, its easier and “faster” for them to process import of your goods, so its always best to provide as much information as possible. There isn´t a guarantee that your parcel will not generate some sort of fee at the time of import, one thing is for sure, it will definetely generate customs services fees (price for such service differs from one courier company to another, each one has a different fee). If we could be of assistance to you, just email me : monica@spainbox.com and we can try and see if we can help you with this matter. I ordered a linear drive for my boat from an individual in the US. I am from the Netherlands, but because the boat is in Spain I had it sent to the Marina in Spain on my name. Correos sent a Aviso de Llegado to the adress, which I filled in and I applied for a NIE nr at the national police. I sent all the documents with a value justification from the supplier (there was no bill) which finally were accepted. I got a presupuesto via e-mail and payed the duties via the BBVA bank. According the schematic of the ADTpostales on the backside of the formular now the parcel is to sent to the destination adress. However in my case I got an e-mail that I should show my NIE nr. at the most nearby Agentia Tributaria. It proved that it should be electronically registered, because the nr. was issued by the National police and not automaticaly known in the Agentia Tributaria electronic system. After all this was done I expected that the parcel was delivered. After one week no parcel arrived and I asked the reception of the Marina to call the ADTpostales information nr. The information was : Everything OK the parcel is waiting for sending to the destination, but this could take one week. After 5 more days no parcel and we called again. Answer: The parcel is sent back to the US! 4 days ago! I sent an e-mail to ADTpostales for comment now 7 days ago but no reply yet. Now I am looking for a way and adress to claim the duties payed, the shipping costs and further costs. Can you give advise in this case? I’m from Morocco, i sent to my friend who living in spain a new mobile phone, i forgot to write the value of the phone in the box but the phone still has the original package and it hold the value of the phone which about 22 usd / 20 euro. did my friend will must pay? did the cutoms open the package before he pay to check what the items are inisde? even i can provide him the original invoice he will must pay? You are required to provide proof of value. If it is low value, you may not need to pay import taxes. In your case, since no proof of value was sent, you may need to contact customs. Usually, before delivery, you are not allowed to open parcels to check content. We r shipping a couple of boxes into Spain by UPS. This shipment is between companies and it will be from Canada to Spain. Our supplier is not going to charge anything to us for these boxes so we won’t charge to our customer. Must I do send the cases with the commercial invoice? If so, which value of the good it must be in order to avoid tax and vat? If you are sending from company to company, you must include an invoice. If it is a commercial transaction you must indicate correct value of content. You can not “avoid” paying taxes as it is a comercial transaction. If you are sending samples, you must send a pro-forma invoice with statistical value of content. Its unknown if you may or may not pay taxes, as we dont know what is the value of the parcels you are sending, but you may be requiered to pay custom proceeding. Hi there. Thanks for the nice article! I just moved to spain and got residencia and NIE. What do I need to import soybeans from china? Do I need to have A license or will everything just go automatically when getting “stucked” in customs? You need to contact Camara de Comercio in your area and request for them to provide information as to what is requiered to import. For goods you mentioned, you may need import license, so you need to contact Camara de Comercio in order for them to indicate what you may need. I’m from Philippines moving to Malaga, Spain next year because my wife was already a resident there. I’m planning to bring my desktop computer which I purchased locally last 2011and put it in my luggage. My question is do I need to pay tax? And will my computer be inspect for its contents? Looking forward to hear from you. If it is part of your luggage, no, you dont need to pay taxes. I was on holiday in Iceland and bought a coat for my girlfriend there in the tax free zone for a value of 200 Euros. Due to luggage limitations, the shop where I bought, offered to post the package to the address of the company where my girlfriend works here is Spain. We are both resident in Spain as well. I received notice that the package is being held by customs and I must pay IVA and duties, is this correct? I was under the impression that an item for personal use is free from paying these type of fees when being shipped within the European Economic Area. yes, its correct. You must pay IVA and duties as it is “non accompained” merchandise so its an import. Iceland isnt currently part of the EU so it must be considered as a normal import from a non-EU country. I would like to order some goods from iHerb and have it sent to me in Spain for personal use. What would I need to pay in customs and taxes? Is there any limit for what I have to pay taxes and customs on? If I order for 22€ and shipment is not included? How can I calculate these rates by myself? Forget about ordering supplements vitamins and bio-additives from non-EU countries (such as US etc). They will not pass the customs in Spain. Order from the UK or EU based warehouse – the only solution at the moment. Hi Monica, thank you for your reply. Hi Manuel – thanks for the very informative article. I am having to pay 500 euros in import duty and VAT for personal effects that belong to my daughter. Her ex boyfriend accidentally took them to the USA when he moved for his work and is sending them back to Spain. They are mostly text books and photographs but since she cannot prove their ownership we are having to pay import duty. Will I be able to reclaim this duty? I have 4 lithium-ion batteries 4 lbs or 2 Kg that will ship DDP destination from Maryland, USA to Madrid, Spain and I want to estimate the duties and taxes I would have to pay. I’m currently studying in Madrid and I got my phone stolen. My parents sent me a new phone through USPS. – NIF/NIE/CIF y nombre del importador registrado en la agencia tributaria Española. – Dirección fiscal del importador. – Descripción de la mercancía. I know I’ll have to pay taxes upon receiving the package, but I don’t know or have the information they want. I didn’t purchase the phone nor am I going to sell it here if that’s the reason they need an NIE identification. I want to buy some new artist’s stretched canvasses (about four feet square) from USA. Will I pay 21% VAT? Thank you for your informative article. I’m looking into importing some towels from China to Spain for selling purposes, the HS code is 6302601090. What duty will I have to pay and can I deduct the 21% IVA when I do my taxes in Spain? I am on a motorcycle trip around the world, I am from Australia and travel on an Australian passport, but I am currently in Spain making my way into Africa in a couple of weeks. I have ordered some new motorcycle parts I will need, with a value over 1,000. Do I still have to pay the 21% VAT when I will be leaving the EU and taking everything with me when I go? How did you get on with that? I’m also a biker travelling through Spain but after a crash had to order a new tank from the States… and even though I paid all the duty and taxes ahead of time and sent a scan of my EU passport to them, they’re still refusing to release the parcel… no idea why, as they refuse to tell me! Now , I bought 40ft container of bikes (normal bike ) , and I don’t know if it is allowed to enter here, I need to know because they do not have any sign of CE . I am interested in importing EEC approved new 500 cc buggy from China in to Spain for hiring and re selling purposes. What would be the rate of VAT on import and can you claim this back if you are VAT registered ? Matriculation I believe is 16 % are there any other costs ?. Hi I bought some some goods from a company in Spain(Barcelona) and it is being sent to an other company in Spain. (Las Palmas) Now customs won’t release it because the invoice is in my companies name (Australian company). What do we do to get goods released? We have an electronic cigarette shop within fuerteventura and import all our products & liquids from the UK with our EORI number there has been times where we have had to pay really high fees upon delivery of the parcels and other times almost nothing at all any advice? Are we being taxed for tobbacco products and other times not?. I’m very confused. I live in Seattle and want to order clothes from Zara , stravadius , bershska in Spain and can you guy send to my address in Seattle. Hi, very interesting article. I’ll add my sad experience. I bought a book from Egypt, paying online €23 + shipping costs (Egyptian mail). And yes, the parcel was stopped by Madrid customs. I called Correos (Spanish mail), because they sent me the notice, and I was told I had to pay Vat (about 5 Euros) + 28 € fix Customs handling costs. 33 € for a 23 € book! I gave up, hoping it’s true what they wrote in the notice: if unclaimed, the parcel would be returned the sender. At least the seller agreed to refund me 23 € when they receive back the parcel. What do you think of all this? And do you think they will really send my parcel back to thevseller? Thanks, cheers. These taxes are criminal. The customs fees are supposed to protect national/european businesses from cheaper external sellers, so why do we have to pay even for items you can’t buy in Europe? Hello, we have to export from USA a pallet with Energy Drinks , manufactured in the USA. These bottles won’t be for sale just for a show and drinks to be given for free in Spain. In this case, do we need some kind of food.agricultural permit before arriving to Spain? Hello, We are in India , wants to do on line business in Spain. We will handle thru a distributor in Spain. We wants to take clothes and foot wear from China . What are the duties involved in spain while importing ? Thanks and regards / Ravi. Hello, I bought a small portable solar charger from China at an equivalent cost of €242. DHL delivery cost the equivalent of €96. However I am being charged €145 in customs/import duties. Is this correct? Is there an difference in charges for personal or business imports? I have an EORI number generated in the UK; can this be used and what would be the advantage? DHL or any other carrier can charge different import / customs fees according to how the classified merchandise, its important you specify the HS codes in the proforma invoice to help to the customs to identify the merchandise to be imported. Difference between to import as personal or as a business is almost no difference, you can check the table with the amount threshold to import to see the difference. Perhaps the difference will be between the international carrier that you will select to import. DHL is not the cheaper. I am looking into importing a second hand coat from the US to Spain. The seller is a company. The coat will cost about 330 Euro. Could u tell me how much I will have to pay for customs please? Thank u very much! Yes even its second hand you will need to pay customs as its brand new products when you import. if buyer orders the electronics goods such as mobile phone, tablets etc on our company website in France, however, the goods will be shipped by outside of European Union, say Hong Kong or China. Would there have any quality standard, labeling requirements, or any regulations or restriction for the electronics goods ship to Spain from Hong Kong or China? Yes you should pay import taxes for that, according what it appear in the proforma invoice. Yes you should pay taxes in cash to the courier that will deliver your shipping. What kind of souvenirs you are going to export from Philippines to Spain? I want to ship a few smalls to my boyfriend who lives in Spain from the US. Is it true that as long as it’s under 40€ and a personal gift there will be no taxes or fees when he goes to pick it up? I was only going to send little things like pictures and American snacks. Thanks!!! Yes, but be sure you include value in the proforma value and its not 45 euros and its send from an individual to another. If its a gift or not doesnt matter to the customs. What they will see the proforma invoice value and if they suspect the worth of the merchandise is bigger they can charge more. handmade by my wife, all for decorating purposes . Will we be charged duties and/or taxes, fees upon arrival in Spain? Should I mention that we also hold Polisz, EU, passports, and just received our Certificado de Registro Ciudadano. . Regards. Zyggy. I am thinking in buy a virtual adress from you. I am portuguese but customs in Portugal are very strict. Do you know if customs in Spain are less strict with boxes of 20kg of jerseys from China? I actually do this in uk because their customs are less strict. If you have some information i am very interested to work with you in buying a spain adress to foward mail to Portugal. They are no less strict as they are in Portugal, specially with clothing, there are lots of control in regards to the use of brand names for garments that are copies coming from China. I was living in Spain for 3 years (with residencia and i have an european passport), then i got back to Iran (Home) for two years, now i live in Spain again and i want to move my furnitures and other used stuff to Spain (about a 40 foot container) and a value of 10000 euro, Do i need to pay a tax and how much? I hardly difficult to prove i was not living in Spain because i did not cancel my residencia in Spain and also there is no system in Iran to prove that i was living in Iran, how ever i have a rent contract and my kids were in international school in Tehran, Iran, is there a anyway ? There are restrictions for importing from your country. You will have to pay taxes, but if you can prove you are resident, they will take it into consideration. Hi there, im thinking to order 2 x 2000w electric scooters (not hybrid bikes,purely electric) from china to spain.The cost of scooters are 470usd each with about 400usd delivery each. What would be the taxes on these please , after reading about bikes being high tax i am worried about getting charged a lot. many Thanks, Neil. Hello,I am a legal resident in Spain and have just ordered and paid for an electric 3 wheel scooter valued at $2650(inc. shipping) from China,to be delivered in December by sea to the port of Alicante,how much tax and duty must I pay and what documents do I need? thanks. unfortunately its not possible to know how much you will have to pay in total as you will need to first find HS CODE of the item + importa taxes + VAT + customs dealing + other port fees , so best advice is to ask the shipping company to provide a quote before you import as sometimes the total could be quite high. Hi, I hope you may help. Recently we were on holiday in Tenerife and forgot our camera at security. I have a friend in Madrid who got a courier to pick it up at Tenerife airport to have delivered to her place in Madrid and she would bring it with her when she visits London. She asked the cost and initially was told 150, they are now saying €480 due to customs in Madrid. It is our camera one that was bought and paid for in England. We forgot it while on holiday why do we need to pay customs. The camera is currently in Madrid customs. The courier company is called MRW. Is this correct??? Is there anything we can do. The courier is saying we need to pay or loose the camera. unfortunately its normal, they most probably calculated the value of the camera based on the model and brand and used that value to calculate taxes or import taxes from Tenerife to Mainland Spain. Tenerife uses a different Tax as mailand so it has to go thru customs. Unfortunately, this is a common problem that occurs between Canary Islands and Mainland. First and foremost. Thank your very much for your help. I have bought an item on eBay and paid 400$ of importing charges. Unfortunately it does not work and I am returning it. How can I be sure to be reimbursed of what I paid to the customs ? I have an old laptop from 2008 that I would like to send to a friend as a birthday gift. It is in fair to poor condition. Buyback and trade in companies currently offer 40 euros. Is this a value I can use on the invoice? And if so, how do I provide documentation? you did not indicate which country you were going to send the laptop to, usually within EU there isnt any problems and no customs will need to be paid. Hi i´ve received a package from the US. It a warranty replacement item. I live in tenerife. My package has been detained. The manufacturer has declared the item as a warranty replacement item. Valued 50 usd. The item is worth 700 usd. they have sent me a copy of the invoice stating that the item is a warranty replacement item. Will i need to pay any taxes??? if so how much? many thanks. You will need to contact Tenerife customs as taxes in Tenerife are not the same as mainland. So best advice if for you to contact them directly, they will advice what will be required. depends what sort of import license you need. You will need to contact Agencia Tributaria to request information as to what is needed to apply for import licenses. Thank you for your great articles. I have an exact question and would appreciate your assistance. I live in Spain and have NIE and I am setting a small e-commerce company that will be selling cloth via internet only. Planning import from China and South Korea to Spain every month. Amount 500 – 1000 EUR. How shall I calculate duties and taxes and how is best to proceed with this import? I don’t have any EORI set yet, is it the best way to set the e-commerce import company? Understand that with South Korea is easier as it from part of free trade agreement. Please advise. As for the EORI you will have to contact tax office to register as en e-commerce or company, Taxes for clothing is 21% import taxes usually is around 12% so it depends. But you have to be very careful as to what you import, there are controls set up in customs for clothing just to make sure you are not violating copyright laws or using brands without permission. Can you please give us link of import custom duties in spain ? I received a gift from family (chocolate for Christmas) of Eur20 plus 19shipping, and being charged import duty of Eur43!!!. I understand the untaxable limit is 45euros? What can I do please? depends which company you have used for shipping the parcel. Usually the amount will include: import taxes, IVA + customs dealings so there isnt much you can do in this case. I am a Brit living in Spain with NIE, Suma, etc. I want to buy window seals from China – HS Code 5806109030. If the total order including shipping is é150 do I just pay VAT? If the order is up to é250 what will my total liabilities be? I’m looking to start importing lunch flasks from China to sell online. The total cost of the package would be either 1550$ or 3100$. What tax / duty would I have to pay on them, does the cost go up proportionally to the price? Individual units are 3.1$. yes, most probably you will. Depends on HS CODE , VAT is 21% . As a EU citizen are they free of customs duty, and how best to do it as I still have not got my residence permit. I have a very old NIE number, I hope it will be quick to activate. Or should I ask a resident friend to import them for me? Also not sure if my embassy provides any change of residence certificates… Many thanks in advance!! Thanks for the great article. However, I have a question. In the article it was mentioned that “Some products such as laptops , mobile phones , digital cameras and game consoles, are duty free.” I am an online re-seller of smartphones. I am thinking to import smartphones directly from China rather than buying from other European wholesale suppliers. Can you please confirm if there’s really no custom duty on smartphones if imported from China for reselling purposes. Thanks in advance. I eagerly look forward to your reply. I’m considering opening a gym in Spain and the best equipment is manufactured in the USA. Could you tell me please the various taxes and import duties that I will have to pay? We are talking about an investment of some $150,000 for the equipment. I just mailed a friend a package from the US. It contained clothing and a coffee mug. The value was 155 dollars. My friend is studying in Spain and not a citizen of Spain. I see upon tracking the package that it is in held in customs. I declared it as a gift. Will my friend have to pay any fees? Thanks. Thank you for providing so much good information to so many people! I hope you can help us too. Our daughter is living in Palma, Mallorca. Her wallet and mobile phone were stolen yesterday. I want to send her the old phone she left here in the US, it’s about 3 years old. I have no idea of its value, only that it is an old iPhone and that it already belongs to her. Can you recommend the best way to send it to her to reduce the fees and taxes she will have to pay? Do the customs agents X-ray or open packages? I’ve heard rumors that iPhones sometimes get lost along the way, which I find hard to believe. And also the most efficient way to get it to her quickly. I worry that it will get delayed in customs. Thanks for helping a worried mom. Lisa, from what I read in this article, your shipment should have been nontaxable as it was less or equal to 45 euros, correct? Personally, I won’t mail any packages to Spain any more as I’ve found customs to be corrupt. Customs has changed the declared value on packages that were mailed and also charged up to 100% of the declared value of the packages in tax/VAT! This is really criminal. Though who is going to hold Spanish customs accountable? We am starting a business selling bracelets in Spain from China, do I need to calculate the 2.5% and the 21% when imported? You will be able to create a EORI for us?Thank you in advance for your advice. Hello, I am returning manufacturing equipment to the OEM in Spain. It has been outside Spain for just over 1 year. Do I need to pay any import duty as it was originally manufactured in Spain. if you are retuning faulty or broken devices for it to be repaired, you will need to use a custom broker to process temporary import into Spain, most courier companies will not do the temporary import proceedings so its important to use an external customs broker. If you are returning just “because” yes, you will have to pay import taxes as if you are importing any other good. cani use form nch1 for import from china to spain and use uk hub for goods by air via china post or by sea to cartagena port. i assume spainish vat will apply so can i pay in euro via the hub as i have euro account in english bank. I would assume that if you are importing directly into Spain it will go thru customs in Spain. If you have requested parcel via post, It may go thru a different hub but you will not have any problems with importing into Spain once it has gone thru a different hub,but you have to differ from importing and transiting. If you are importing into Spain, the final destination will be Spanish customs and you will need to pay here in Spain it doesnt matter from which bank, depends on the shipping company if they accept bank transfer or not. I am relocating to Madrid and I want to ship my personal items from my current location, and the shipping company is asking for an EORI number. . .how can I get one asap?? I recently sent some samples of roasted coffees to a potential customer in Spain. Fedex would not deliver, they claim it was a customs issue against food products. What can you tell me about this? I know other coffee roasters from outside EU sell their beans to Spain. We have a client that owns a residence in Spain, and he is now importing his goods (personal effects and used household goods) from the US to Spain. He is a Canadian citizen. He is being told that he will have to pay duty and tax on all the items. He has owned his home in Spain since 2008. Is the information given to him correct? What are the import taxes on conferences bags? Hi! We want to export German goods (snacks&drinks) into the USA and then import American snacks into Germany. I have all the knowledge of FDA approvals, shipping by containers and so on and so forth, but I am afraid we are missing something regarding the taxes. Could you please tell me, what are the obstacles if we want to do this? I sent a friend, who just moved to Spain, a birthday package including a couple of used books, some food she can’t find there, and a couple of other random items. The total value claimed on the customs form I filled out was only about $40. I sent the package via United States Postal Service. When she went to the post office in Barcelona, she was required to pay 25.25 Euros, in cash, to retrieve her gift. At today’s exchange rate, that’s about $30…or 75% of the value of the contents. Does this seem right to you, and is there anything we can do to recover this tax? Please recommend the best courier to import goods from Japan to Barcelona. I also want help with my DUA – it’s proving to be more complicated than I had anticipated. May I contact someone directly? I want to order T-shirts from China to Spain, value of 1900 USD. What taxes do I have to pay and do I need a NIE for this? Thank you! I will be moving to Spain, I am a Spanish citizen by my father being born there, can I take my car without taxes? I am sending socks, made in South Africa, to a customer in Spain via the Postal Service and would like to know how I can avoid high customs fees? Is there a value I need to keep the cost of the invoice under? Do I need to declare where the products are made? I am currently an exchange student in Madrid and I was oping to send my snowboard and some clothes from Australia to here? Would this be subject to import duties and taxes if the board is older than 6 months? Hello, I want to send goods to Barcelona-Spain by air, source from China-Shenzhen. My goods is MP3 players with it’s accessories like headsets and charging cables. My question is how much estimate import TAX and VAT for this type of goods? it’s 500 device will used as giveaway in MWC 2018 (Mobile World Congriess). My goods including rechargeable battery and estimate value for it about 7000 to 10,000 USD, which carrier prefer to send with (door to door) DHL, UPS, TNT FedEx etc. My daughter was pickpocketed on 10/21. The replacement IPhone that was sent from the insurance company is being held in Customs. It was sent via Federal Express directly from Asurion Insurance to my daughter in Madrid on 10/23. The package has been held in customs since 10/25/17. As requested by Federal Express, I have sent another copy of my daughter’s passport and the Importer ID Input Record form. Still being held. No one can answer what is going on or what can be done to get the package out of customs. Can you offer any advice on how to go about finding what is actually happening? Thank you. My aunt will send me a package from USA including some clothes, perfumes,.. as Christmas gift. I want to know that if I have to pay any money here as a tax, VAT, … . Do I have to go and take the package myself or the post office will bring it to my address? An excellant article and forum. I am starting a business and looking to import product boxes from China to France. Hoping that you have a contact or reference for the procedure for paying tax, and whether I need a company to pickup the boxes in Marseilles. Looking to strike the balance between cost and convenience. I’m temporarily living in Spain, but I have an online store registered in the US. If I buy goods(baby shoes) from China for under US$500 and have them shipped to Spain, what fees should I expect to pay? Since I am living here for now, I will be shipping the items to Spain and once I return to the US, I will ship them from my home location. Thank you so much! I want to import Multiple watches from Hongkong total worth 3000€ to Barcelona. excluding shipping. How much additional payment can I expect until I Have the watches? Seller in Hong Kong is a Company and im buying it as a Private Person. Im looking to by a solar heating solution for my pool. It will be exported from China to spain. The cost is approx €1200. He HS number provided is 40091200. Could you please clarify the taxes and duty. We are looking at having some marine electronic equipment shipped to us for our boat that is currently in Spain. We are non eu residents, and our boat has a NZ flag. We will be leaving Spain around the end of December. Will we still have to pay tax, can we claim it back when we leave? I am a US citizen and have purchased an apartment in Spain. I need to send some of my furniture. I have an NIE but do I also need EORI? I see Manuel Gallego says above that “Your NIE will work as your EORI” but I am finding conflicting information on the internet, where some say I still need an EORI. I am looking to establish a business importing Australian cosmetic products to Spain. Is the Common External Tariff 3% or does it vary depending on the product category? Do I need to apply for a Binding Tariff Information? Also, do you have a good information source on how to obtain a Spanish Import Licence? Thank you! Hi, I am living in Spain, wanna buy some food supplies and vitamins from iHerb. If the cost of my purchase, for example, is 20 EUR + shipping is 5 EUR, do I still have to pay import duty anyways? On your site is written Including and Excluding in different places, so contradictory info. Also, can I buy and import liquid food supplies from iHerb USA to Spain? Everywhere I ask/read the answers are very blurry and uncertain. Looking forward to yr reply! Thank u.
I am selling a set of acoustic drums from the USA (originally manufactured in Australia) to an individual in Spain. The drums are valued at $5,000 USD. What taxes (VAT) will the person in Spain expect to pay? I’ve ordered some goods from an online store from US to Spain. I’ve paid custom charges when collected my parcel. Now I would want to return it. Will I get back the custom charges I paid and if yes how do I do that? What fees and how much I ll need to pay when the items arrive ? Our company want to import door handle from China,Where we can check the tariff ? Recently we have shipped the goods to Spain from India but due to the mistakes of TNT they loaded the wrong goods pallet of our Australia customer to Spain and now our Spain customer has paid the duty of same because invoice was correct . The goods which was wrongly delivered to our Australia customer our forwarder arranging to ship the same to Spain . Now my concern is that do our Spain customer again need to pay the duty or is there any possibility to don’t pay the duty of same by giving any kind of declaration. I want to import a disability scooter for personal use to Spain from a company in China. Total cost including shipping is $680 USD. Please can you tell me what the duties and VAT are likely to be? Thanks for the article! I would appreciate some advice with a package of mine that customs have decided to stop. It’s a care/gift package from a friend in Asia, and has declared it to be a worth of €22 (which is posted on the front of the package). The contents inside are sweets and socks. First, I got a notice(?) letter, and uploaded everything on adtpostales website.Later I got a bill including 21% VAT which totalled €48 (which I find outragous!). I asked why my package is being subject for inspection, as the contents are clearly stated and that is a personal item. They replied saying ‘food’ items are subject for inspection.. I don’t understand how I have to pay more than double the contents worth, just to recieve the package! Hi I am showing a collection at Momad Madrid and had a question around importation of samples. We are taking sample dresses through customs in our checked baggage. What is your experience with this process? Is there certain paperwork which is required or any pre required documentation to be arranged or paid. Any further help you have will be much appreciated. I completed the processing through ADT Postales and my USPS package was delivered today. However, the items are defective and I will be returning them to the US for a refund. Is there any way to obtain a refund of the import fees as well since the products are being returned to sender? Hi, I would like to know if there is exception for jewelry?! I’m particular buyer,and i want to buy some semi mount ring, it’s cost around 750$ from USA. And some precious gem from Shri Lanka, it’s cost 600$. – do I need to pay 2,5% and 21% ? Or I can reduce somehow this expenses? got your advise to put my question in the box,,..
what is the custom tariff for vat, taxes and all other fees that apply to dry fruits imported from Turkey and Palestinian territory ..
quantity over 300kg as an example..
Hello, I bought a pair of motorcycle gloves from Spain last week and they do not fit properly. I want to retrun them back to the store and get a different size. Will the returned item be subject to any customs fees or duties? Hello, ill be staying in spain for more than 2 months and need a laptop computer sent there from the US, my question is. Are you able to get a refund on the 21% import VAT once I leave the country? I am not an EU citizen and will be returning to my homeland. We are a spanish registered SL company and would like to import LED window displays with a cost of approx. 1700 euro from a chinese company. If they send by air freight will the courier provide all the import declaration forms and how much import duties will we have to pay? Hello, Manuel! Thank you for your article! I have an idea to import some amount of tea and herbals outside of EU and sell it to local companies. As of now, I do not know much about the proccess. It would be great If you could give an advice (or suggest any source where I could look up for info) regarding documentation, permissions or quality sertificates that are needed to import teas and herbals for the further sale in Spain. I want to buy a watch in USA. The Value of the watch is 995 Dollar. I’m from Netherlands but living in Spain (with a NIE). Do I have to pay customs duty and VAT at postman or do I have to declare anything to the Office in Spain? I am moving back to Barcelona from the US with about 10 boxes worth of personal effects (books, clothes, shoes, kitchen utensils etc) I got some quotes from shippers but no one is telling me what would be the destination customs port fees handling docs customs and any duty tax. Would you be able to give me an idea of these charges? Quotes are based on Door to Port service by ocean. Hi, thanks for sharing the information. An international logistics partner which is both a freight forwarder and customs broker can also help importers and exporters make intelligent routing and mode selections to produce economical solutions that meet the delivery time frame. I have ordered a package from the USA to an apartment in the South of Spain. I am not a tax resident in Spain. The forms to claim the package are asking for a DNI number or an NIE number, but I do not have either. Do you have any advise for me on how to claim my package? I am inheriting some of my mom’s furniture and books and decorative things from our old house. Theres will also be some of the paintings I made at school in the shipping. Needles to say, everything is so old, there are no reiceipts. Do I still get taxed? – which includes all items shipped with their value etc.? – my NIE # ? 2. Any copies of Spanish ID? Is there a link for this pro-forma that needs to be completed? For sea freight the procedures are different to air, so my best advice is to consult the sea freight company what documents you need to provide. So far, the list you have indicated is part of it, but they may need you to provide more information, it depends on the freight company. I am traveling to Spain by plane form the US. I wish to bring paintings and art-work by my mother (a non-professional, mostly of sentimental value ) and used books to furnish a friend’s house. How should i proceed? DO i just go to “items to declare” at the airport? How should i value the paintings? always recommend you declare all goods . Hello, I want to buy the new iPhone in the US and ship it to Spain. What should I expect to pay in shipping, customs and clearing? hello i am reciveing a bunch of packages from china and all i have is an NIE. when my tax and Dutty fees come up will i be able to just pay them? i heard the new NIE also work like NIF does anyone have experice or know? If you are importing via Correos/Post who is dealing with your customs clearence will be ADTPostal, the procedure can be a bit tedious but simple at the same time. Your NIE will be enough to import. 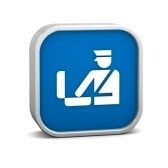 If customs requires any other document, they will request it, but you shouldnt have any problems. Depends. If you are registered in Spanish Tax system you will not have any problems to import using your NIE or NIF. If you are not registered in Spanish Tax system, customs will register your NIE in the system and you will be able to receive your parcels paying the customs fees assigned for that specific import. how much will have to pay the buyer in Spain for the import of used bicycle cost 200euro? Hi, I want to import a small plastic filterbox for my aquarium, value less than 150 euros, plus abpout 45 euros shipping usps, from USA to Spain. What would the taxes if I dont prepay them. Usps are quoting about 90 euros prepaid. That sort of shipment is processed by Spanish Postal service, the custom clearing agent will be ADTPostal so my best advice is to contact Correos for information. I am importing a solid mahogany Pool table into Malaga. The cost including shipping is usd 1580 and I assume the import duty, forms etc to be below euro 400. What is the most cost efficient way for a company to clear this for me and deliver to my address in Marbella? Is the shipment coming via sea freight? If so, you will need to consult the port and compare service fees. WE are unable to recommend one for you. Sorry. we are shipping Vape Liquids into Spain. Product HS Code is 3304.99.9000. What is the % VAT and % Duty applicable to these products. Vape Liquids comes in small bottles, zero nicotine. used as refill to the electronic Cigarettes. Could you tell me please how long can it take to conduct health inspection of the parcel? I paid the fees on the 20th of October and it’s already 2 weeks after that. You will need to contact customs directly. It can take a while, depending on content of the parcel. Best advice is to contact customs to request information as to how long they will take. Sorry we cant be of assistance. Could you please tell me how long the inspection of the parcel can take? I sent some cookies and chocolates; paid the fees (48,13 euros) on the 20th of October, it’s already 2 weeks since that moment and I still didn’t get any notifications. Best advice is to contact customs , as if you have already paid, they should tell you when they will release it. Unless they are requesting other paperwork and are waiting for you to provide it, so you need to check with customs .